It’s one thing to know what your website should look like – responsive on mobile, focused on content that appeals to your target persona, with simple navigation, to name just a few points – but what about seeing these sites in action? If you’ve read this blog, you know when it’s time to build and launch a new website. And when the time comes and your Executive Team has approved the budget you need to make sweeping changes happen, it’s time to start the process. As you’re embarking on this process of developing a new website for your company, it’s equally as important to check out real companies who have made the change. And that’s why we went on a search to find those companies to share with you. Below are 5 public company and investor relations websites we love. Easy to read and easy to view “Letter from Tobi”. Tobi is the CEO and Founder of Shopify, providing a personal and unique touch to the site. The homepage of the IR site makes it clear to readers why they should choose Shopify; this section includes coverage about their large and growing company, the vast ecosystem and more. Shopify features a blog that is filled with great content, posted weekly. Social media channels and icons are easily labeled on the home page. Not only is Teck Resources a CIRI BC Member, they’re also Canada’s largest diversified resource company – which means that their website needs to reflect their size and scale. The great news is that it absolutely does. It’s visual-focused, making the website engaging to visitors. The annual report is front and centre on the website’s slider, making it accessible to investors. The home page features an interactive map, which allows visitors to view current Teck projects. 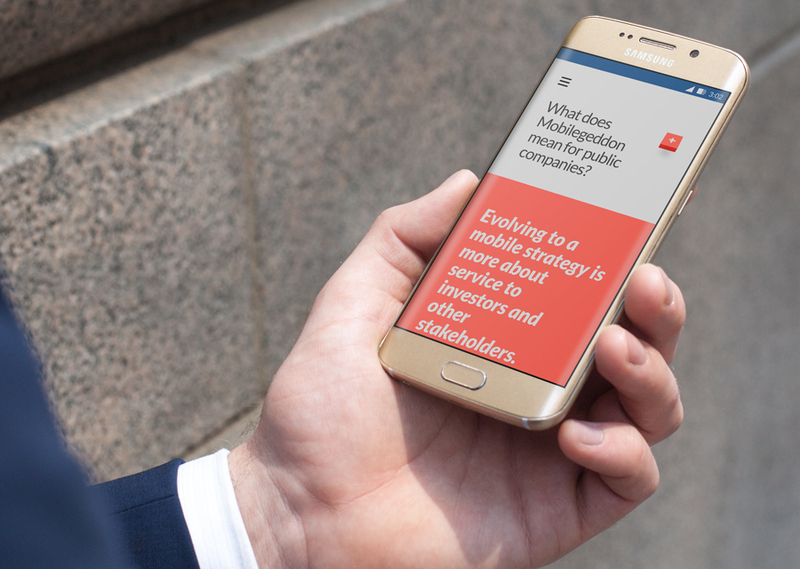 CNW Group has a clear focus of mobile with both their website and the Investor Relations section of their site. 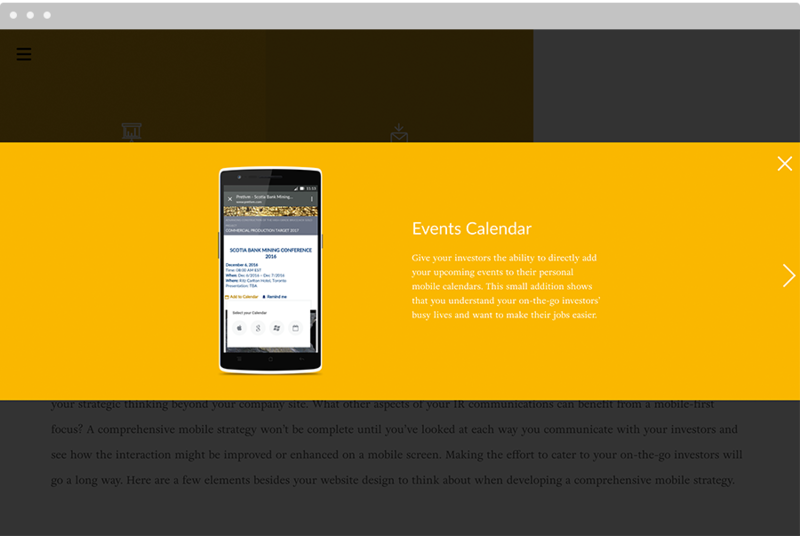 While we like this website on desktop, we really love how it displays on mobile. Brand colours and images are enhanced on the mobile site. News releases and financials are front and centre on mobile and desktop. The language toggle from English to French is easy to navigate. We saved one of our favourites for last. We’re using the University of British Columbia as a fifth and final example because they’re a CIRI BC Member (the second we’ve highlighted on our list), and one that has a beautiful website that navigates well on both mobile and desktop. There is a clear “Student” icon that is on the mobile navigation, which makes it easy for specific searches. As you’re developing your website for mobile and desktop, be sure to not only discover the tips and tricks you need to know, but also make reference to companies who are leading the way in website development. It’s important to not only admire the best, but learn from the best, applying your favourite design and feature elements to your project along the way.